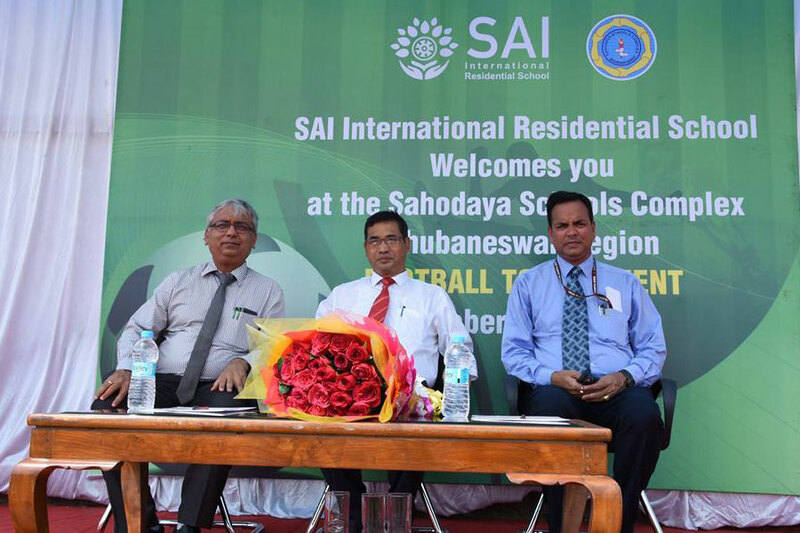 SAI International Residential School hosted the Sahodaya Football Complex Tournament 2018 at its magnificent Football Stadium on October 5, 2018; the occasion was graced and was declared open by the Chief Guest, Mr. Thongkholet Mate, the Regional Officer, CBSE Bhubaneswar. 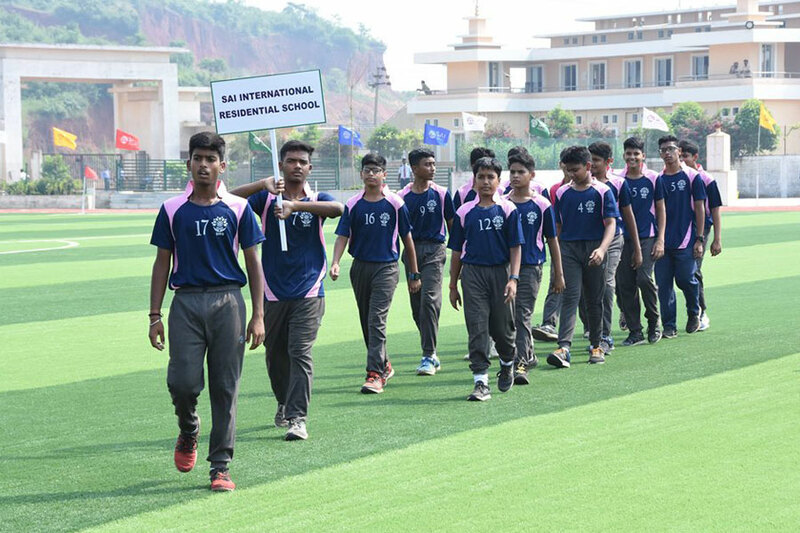 It is a three day tournament from October 5 to 7, 2018; with 16 schools participating along with the host team SIRS namely DPS Kalinga CTC, Vikash Residential School, Harihar Nanda (Kendrapara), DAV (Chandrashekharpur), DAV (Puri Road), KIIT International School, Mothers Public School, St. Xaviers School Khandagiri), Sainik School, SAI International School, BJEM, BJEM-II, Freedom International School (Salipur), Guidance E.M. School BBSR and MILZS (Jajpur). The choir of SIRS sang a melodious welcome song to commemorate the opening ceremony. Shri Harish Sanduja, Secretary of Sahodaya Schools and Director SIRS, delivered a welcome address. 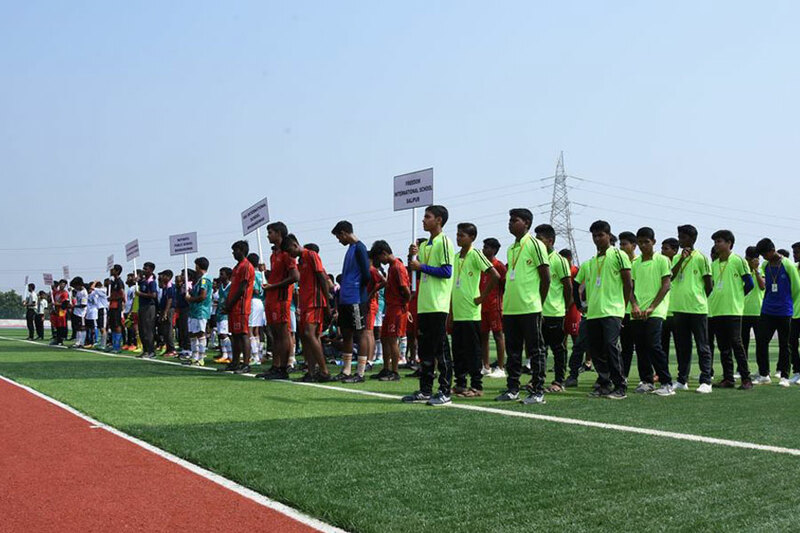 He heartily welcomed the Chief Guest and highlighted the importance of sports and the enthusiasm of students to participate in this tournament. 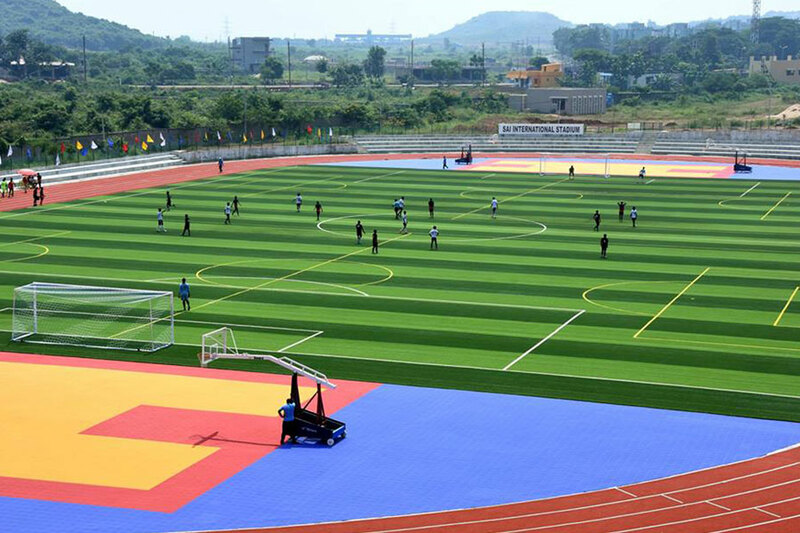 SIRS has one of best football grounds in Odisha beautifully laid with artificial turf and an overwhelming size which is capable of holding international events also. Chief Guest, Mr. Thongkholet Mate was overwhelmed by the world class sporting infrastructure of SIRS and said, “It is important for schools to promote sports as it leads to a holistic development of the body, mind and soul, SIRS is one of the premiere institution with international standards of sporting facilities within its premise”, he also said, “CBSE will be making Sports and Games a regular subjects and students will be able to take Sports as one of the main subjects. He encouraged the students to make use of such wonderful opportunity. He wished all the best to the teams participating, and said, that winning is not everything but what is important is learning from the loss. Speaking on the occasion Headmaster SIRS said, “SAI International Residential School is honored to host the Sahodaya Football Complex Tournament 2018 in the SIRS Football Stadium. We hope to host many such events at our Sports Stadium in the future. May the best team win the tournament”.